In my last post, I covered my first four games from Metz. After the win against Bauer, I faced another double-round day, and in the morning, squared off against GM Andrei Sokolov. Both of us were the only players on 3.5/4 (nobody had a perfect score). 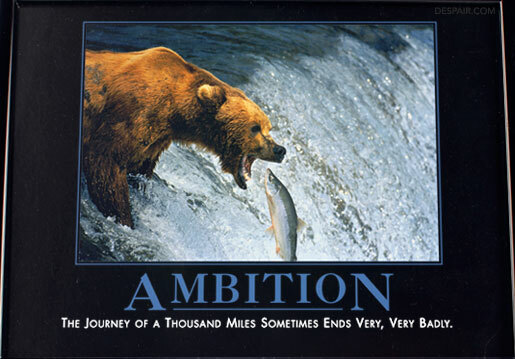 He had taken a different route, though, as he drew his first game and then won three games. Sokolov was as high as #3 in the world in the late 1980s, but he wasn’t able to maintain his good form for that long. Still, his Wikipedia page described him as a “practical-minded chess player” who would remain “ice-cool under pressure” – at least the latter is sometimes used to describe me! 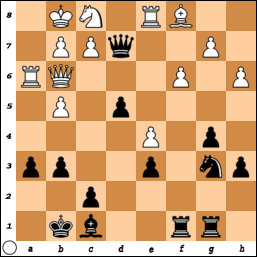 (1) 27.Bd4 was an obvious candidate, pushing Black backwards. After 27…Nd7 28.Qc8+ Nf8 (28…Kh7 is also possible, although he thought he was running some risks after 29.Nc4! – however, he didn’t realize that after 29…Qb4! 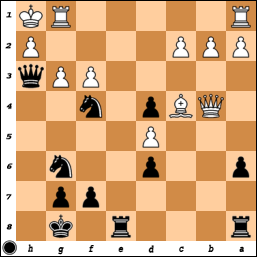 30.Bd3+ f5 31.Qa6 Nc7!, Black is holding things together) 29.Bc5 Be8! defends everything nicely. The bishop on e8 is hanging, but if White takes it, the bishop on c5 then falls. (2) 27.Nb5 is somewhat tricky (27…Bxb5?! 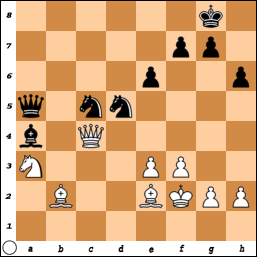 28.Qxc5 Nc7 29.Qd4 seems to give White some initiative), but 27…Qd2! kills any dreams White may have had. (3) 27.Qg4 f6 (not 27…Nf6?? 28.Bxf6) 28.Nc4 Qc7 29.Ba3 Bd7 also defends, and this is what I chose, hoping to keep pieces on the board. We were both in some time pressure, and he later offered me a draw, which I declined, as I felt I hadn’t exhausted all my tricks in the position. However, once he noticed that last tactical shot, I decided I didn’t have much to play for and offered a draw, which he immediately accepted. Material is equal, but it’s clear that White is the one who is playing for something. Black’s rook is tied to the g7-pawn, the knight is tied to the c5-square (allowing Bc5-d6 would really cut Black’s options down), and the bishop is tied to e6 for now (as otherwise Bg4 and e6 would be devastating). Note that …Nf8 never threatens anything, as after exchanges on h7, White plays Kg6 and Kxg7, forcing the pawn through! Still, the question remains of how White is going to make progress, as I had been shuffling my king back and forth for the past couple moves. Unfortunately, I had neither the time nor the energy to figure out what either of us should be doing here. With the benefit of hindsight, Black should play 47…Ke7 here, waiting for 48.a4 when he can play 48…c5!!. Black absolutely needs to change the structure if he wants to continue fighting for a draw. White’s idea with Bd1 was to play a4 and exchange on b5. Then, however Black takes, an open file will be created that isn’t already covered. 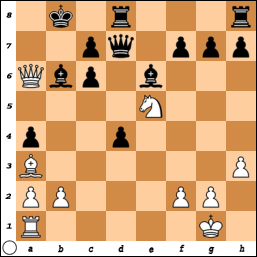 For example, with …axb5, White’s plan is as follows: Be2, Rh1, and Ra1 to a7. 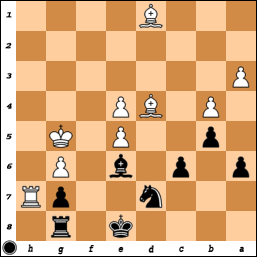 If Black “stops” this with …Ra8 (after Rh1), then Rc1 forces Rc8 and then Ra1. Once the White rooks lands on a7, then Bc5-d6 will be a huge improvement as then Black’s king will be pinned to the back rank. Taking back on b5 with the c-pawn (as I did), isn’t all that much better, and I lost without too much trouble. My tournament in Metz is over now, and I finished with only 5 points from 9 games. On the one hand, that’s definitely a disappointment as I had excellent chances to make a better result. At the same time, it was against a field with an average FIDE rating of 2500, so it was still a pretty strong open tournament. Talking to GM Christian Bauer about the event, he said it was once quite strong before slowly shedding players year after year. At his suggestion (he’s essentially the local chess hero), they made it a two-group event this year, thereby taking a chunk of lower-rated players out of the A group. My first round game was probably the easiest one I had all tournament, but it may have been also the one in which I felt the worst. I had flown in a day earlier and was still a bit groggy with the time difference. Luckily, my opponent also seemed to be a bit out of sorts. Black is winning here, and there are many ways to go about it. The way I chose seemed pretty obvious to me: 23…d3. 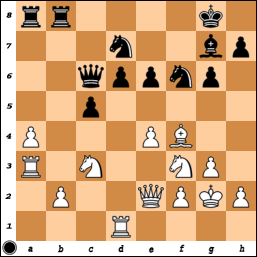 Now 24.cxd3 would allow 24…Re2, so FM Victor Angel Bolzoni played 24.Rae1 instead. I continued with 24…Re2 (the computer points out that 24…Nh4! is even more decisive), with the point that after 25.Rxe2 Nxe2, White can’t play 26.Rg2 because of 26…dxc2, and there’s no good way to stop Black from adding a second queen to his side! Instead, he played 26.Bxd3, and after 26…Nxg1, I was honestly expecting him to resign. White has a bunch of pawns, but they aren’t remotely dangerous. Instead, he decided to play on until move 40, but at least he didn’t spend all his remaining time on it. Black’s typical queenside counterplay hasn’t made any real inroads, and his attempt to open the center up has backfired miserably. The d6-pawn is under attack, and …Ne8 or …Bf8 are pretty sad defensive moves (White can up the pressure in a number of ways, the most likely being Qc4 or Ng5). The pawn can’t move forward safely because of the rook on b8, and so he had to play 19…e5. That’s a rather ugly move that takes the dynamism out of Black’s center, and after 20.Qc4+ Kh8 21.Ng5, he was in big trouble. He sacrificed an exchange in the hopes of stirring up some trouble, but he also had to give up the ghost after a while. This will be my last article, as I think I will be busy enough with the tournament in Metz, the US Championship, and then a busy summer schedule. 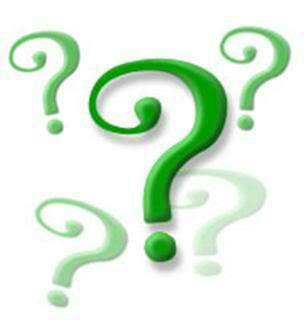 The authorship of the Tuesday articles will pass to WGM Natalia Pogonina. In my last post about the Cannes Festival des Jeux, I detailed how I got to 3.5/4. After my 4th round win against Govciyan, I would have been shocked if somebody told me that I wasn’t going to win another game the rest of the way (5 more rounds!). But, as fate would have it, that’s precisely what happened! Thankfully, I didn’t lose all 5 games, but I was clearly better or winning at some point in all 5 games. From those positions, I only managed 4 draws and a loss. 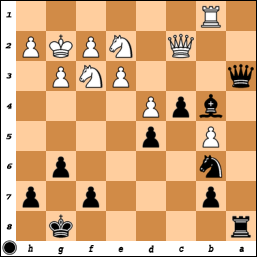 I started off the second half with black against GM Sergey Fedorchuk (2641, Ukraine). I had already lost to him in a Ruy Lopez as black in December 2009, although that game was a mess from start to finish. This time, I played a different variation of the Lopez against him and achieved a playable position – objectively it was probably about equal, but it was a bit simpler for him to play. I’ve just played 34…Qc4-e2, and at first, I thought I was doing just fine. I had looked at 35.Rd2 Qe1 36.Rc2 Qd1, and White’s rook runs out of safe squares. Meanwhile, 35.Bxh6 didn’t look like it should be so dangerous. Unfortunately, he has 35.Rd1-d4 – after this obvious move, White hits h6 and Black has no good way to defend the pawn. If 35…Kh7, then White takes and plays Qh4 with a winning attack; meanwhile, 35…g5 is ugly, and after 36.Qh2, White sacrifices the exchange on h6 with a nice advantage. I’m not sure why we both missed it (Maybe since I played 1…e5, neither of us ever seriously considered a piece could land on d4? Maybe he thought I had some sinister trap up my sleeve? ), but either way, he didn’t play 35.Rd4. I breathed a sigh of relief when he played 35.Bxh6?. Unfortunately, it was my turn to return the favor with a hasty 35…Bxh6?. After 36.Rxh6 Qxd1 37.Qh4 Nd7 (Black has to stop 38.Qf6 and mate on h8), White has nothing better than 38.Rh8+ Kg7 39.Rh7+ Kf8 40.Rh7+ and a repetition. That’s how this game ended in a draw. I still had a bit of time to spare, and if I spent it, I might have realized that 35…Qxd1 was winning! After 36.Bxf8 Rxf8 (36…Kxf8 37.Qxd6+ Kg7 38.Qe5+ leads to mate), White has no good way to continue his attack – 37.Qh4 is met with 37…Kg7!, and White doesn’t have time to stop both …Rh8 and …Kf6 (if Qh7+). Finally, 37.Qxd6 doesn’t work after 37…Nxd5 38.Qe5 f6 39.Qxe4 Kg7 40.Rd3 Qb1 41.Qxd5 Rfd8, and White loses the endgame. Actually, that’d have been somewhat poetic, as the R + N vs. Q endgame is losing for him, and that’s the same endgame I lost to him in December! Still, to be fair – I was worse before I was better in this game, so a draw wasn’t such a bad result.